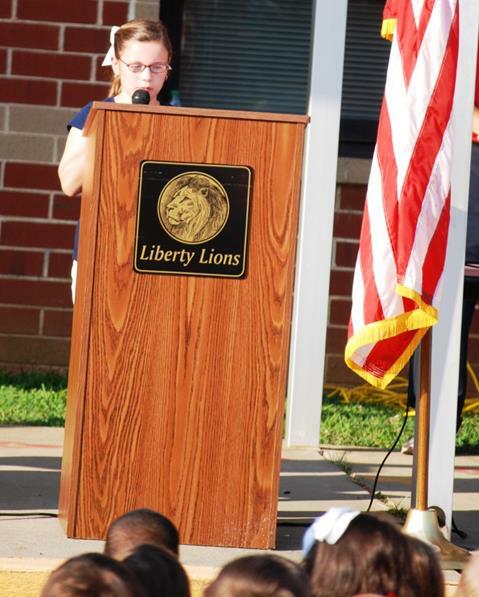 Liberty Elementary School’s Patriot Day ceremony on Sept. 11 began with Assistant Principals Rad Dixon and Victoria Thom leading the students in the Pledge of Allegiance and National Anthem, followed by Teacher of the Year Lauren Roach, who read a poem she wrote about the events of 911. 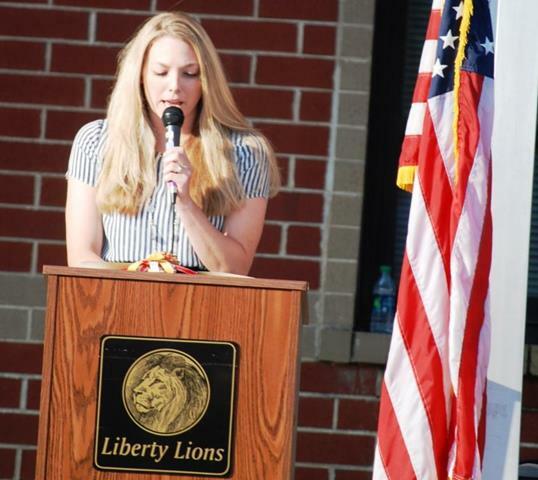 First-grade teacher Stacy Yawn performed “God Bless America,” and after a moment of silence, fifth-grader, Kassidy Nalls, daughter of Troy and Angie Nalls, read an explanation of Taps followed by the playing of Taps. 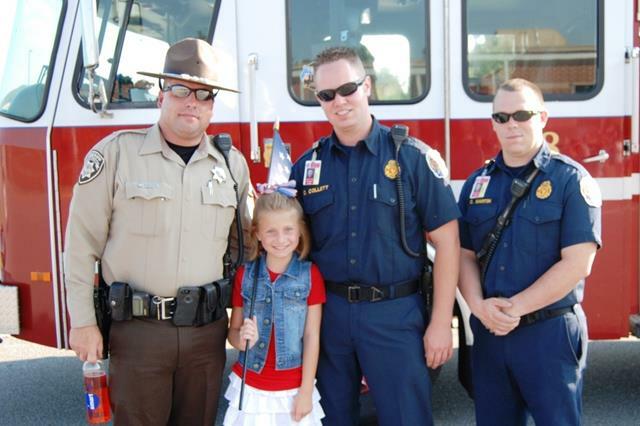 Principal Dr. Nicole Holmes welcomed special guests, Cherokee Sheriff’s Office Deputy Jeffrey Goettel from the BridgeMill Precinct and Cherokee County Fire and Emergency Services Firefighters Cody Collett and Chris Martin from the BridgeMill Fire Station. 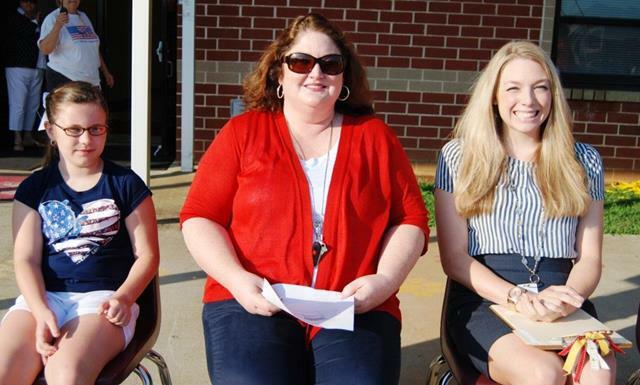 Liberty fifth-grader Kassidy Nalls (left), first-grade teacher Stacy Yawn and Teacher of the Year Lauren Roach. 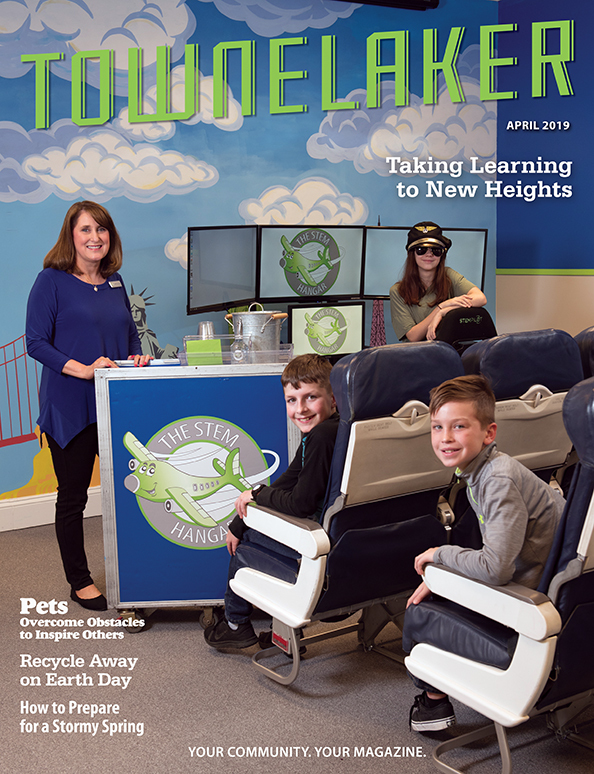 Fifth-grader Kassidy Nalls explains Taps. Teacher of the Year Lauren Roach reads her poem.